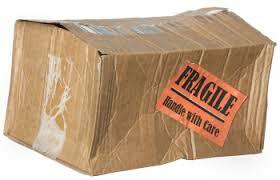 When shipping cargo from one location to another anywhere in the world, a shipment may suffer damage during transport. As a result, customer care and administrative procedures initiated by shippers, consignees, or companies acting on their behalf, attempting to recover any potential the loss. Consequently airlines are compelled to deal with cargo damage investigations and claims. In many cases it is not easy to identify where and how exactlty cargo got damaged. In order to get a clear picture on where and how damage occured, business partners involved in the transport and handling of shipments need a cargo damage reporting procedure and cargo damage control management . The CargoHub platform enables individual companies to manage damages for internal business purposes in a simple and effective manner. At the same time Basic Damage Notifications can be sent to internal or external stakeholders. Data can be shared with business partners directly into their account when both connected to the CargoHub platform. [ For example between handlers and airlines ]. This feature enables airlines to have access to all cargo damage reports and subjected data into their accounts. Airlines will be able to monitor all cargo incidents worldwide from one single platform and can pro actively anctipate on any damage occured with their customers.